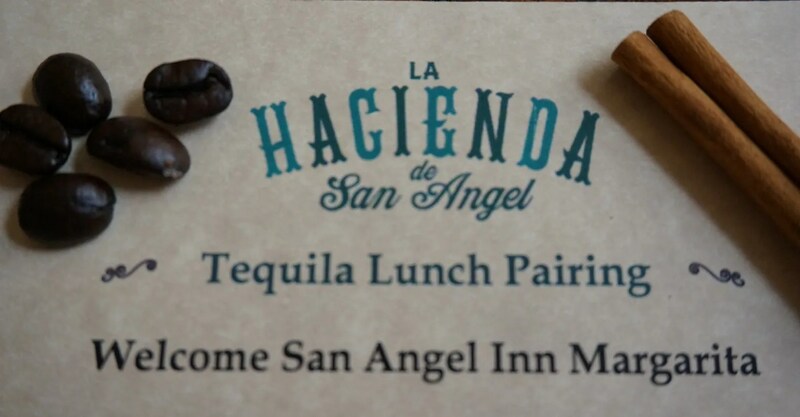 My husband and I attended another Food & Wine Festival special dining event, the Tequila Pairing lunch held at La Hacienda de San Angel. Unfortunately the second margarita in the photo was my husband’s. 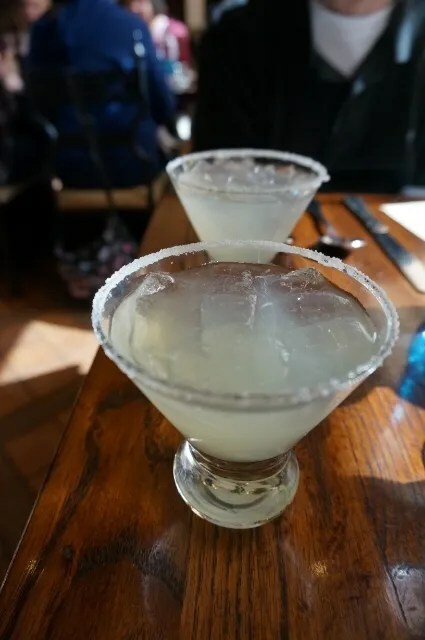 Sadly no refills were offered on the margarita. I would have gladly accepted a second margarita in place of the straight tequila shots, but no such luck. I generally prefer shrimp over scallops but this was good. I especially enjoyed the slice of fresh avocado. 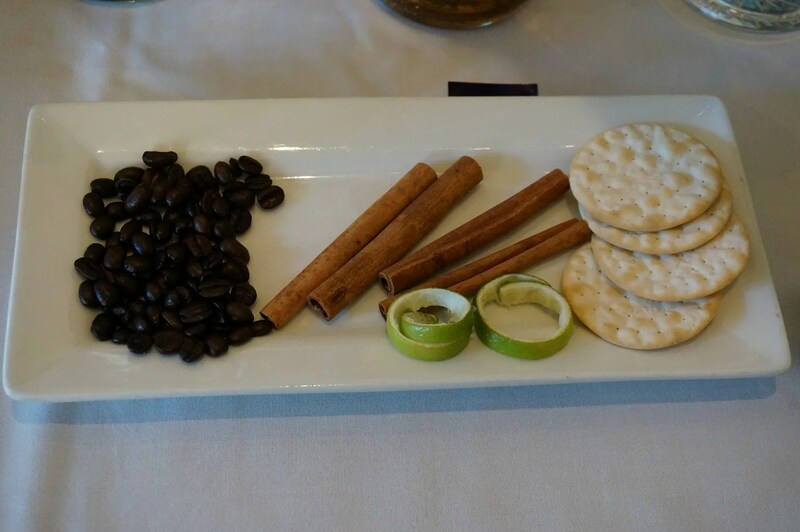 This was paired with Casa Amigos Tequila Blanco. 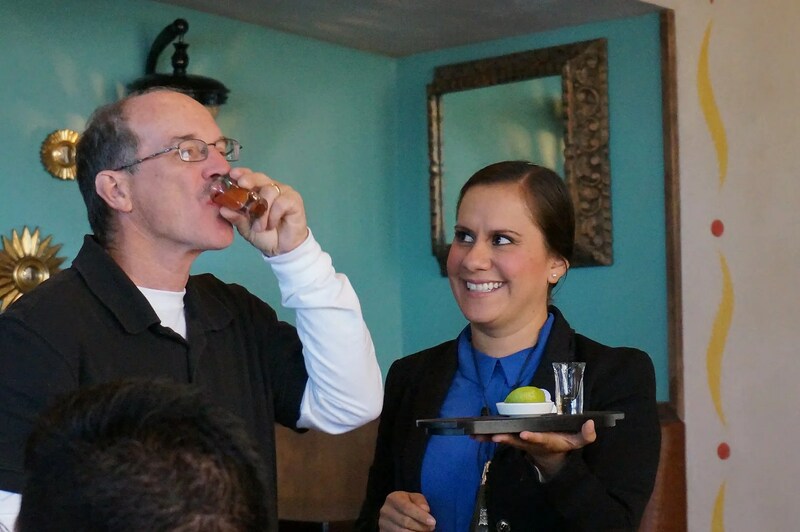 But before tasting the first of the three tequilas, we were introduced to Tequila Specialist, Hilda Castillo. 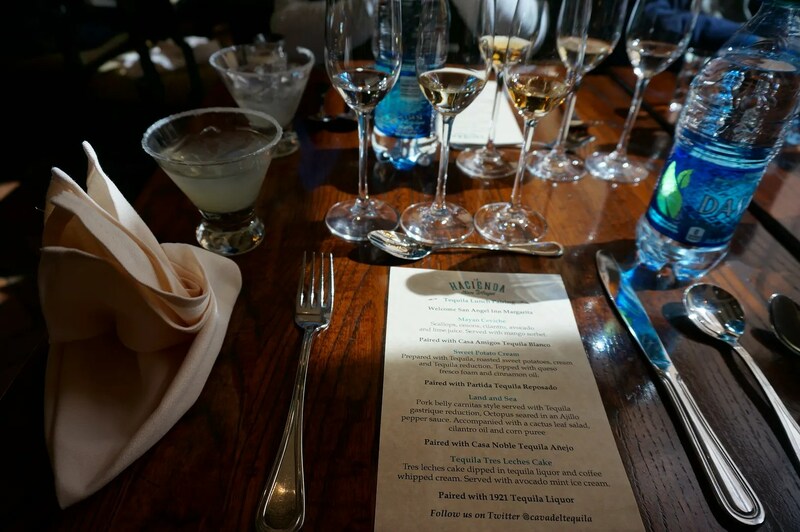 She told us about the Blanco (white) Tequila, saying it was the youngest class of tequila. Youngest because it is bottled either immediately after distillation or within two months of the process. 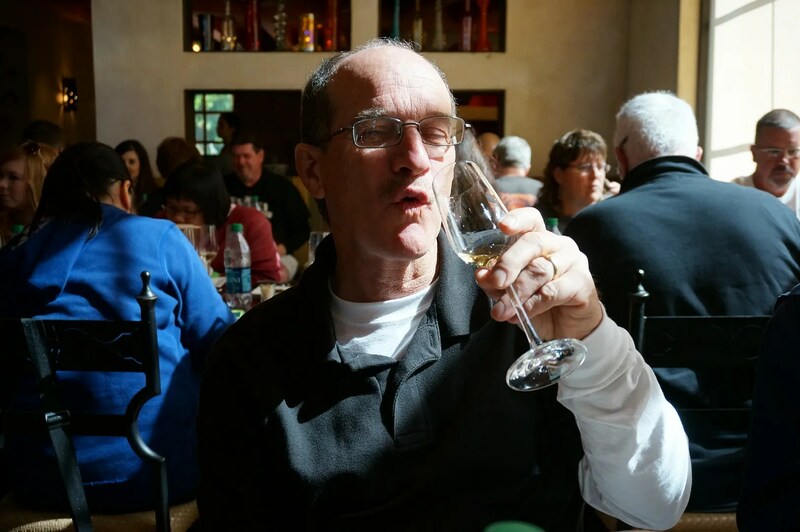 Then she instructed us to smell a strip of lime from the tray on our table before smelling and then tasting the tequila in order to bring out its citrus notes. But that didn’t stop him from drinking all of his and most of mine too. 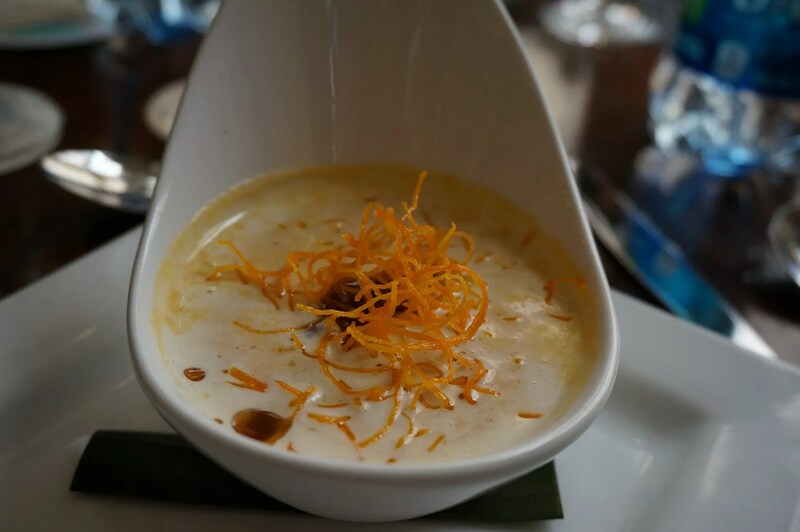 Sweet Potato Cream prepared with Tequila, Roasted Sweet Potatoes, Cream and Tequila reduction. Topped with queso fresco foam and cinnamon oil. I don’t really care for sweet soups, so this was just okay for me. My husband though seemed to like it, as he ate all of his and then the rest of mine. 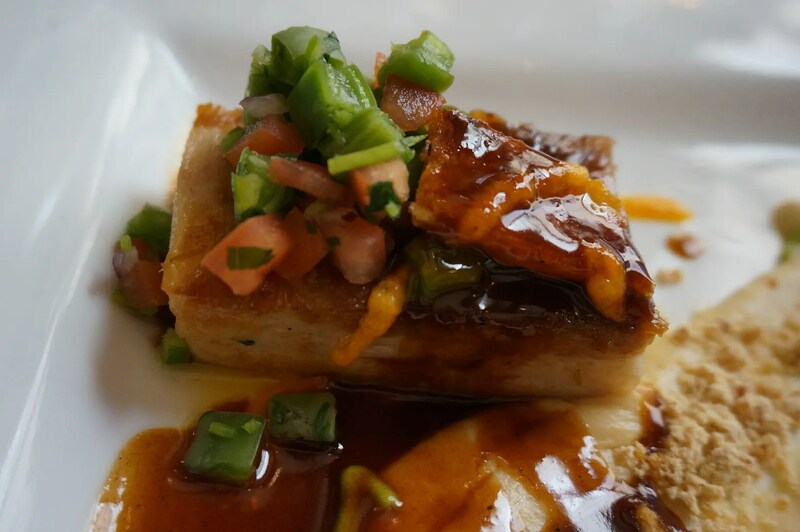 This was paired with Partida Tequila Reposado. Hilda told us that Reposado Tequila is “rested” or tequila that is aged in an oak barrel for at least two months, but less than a year. 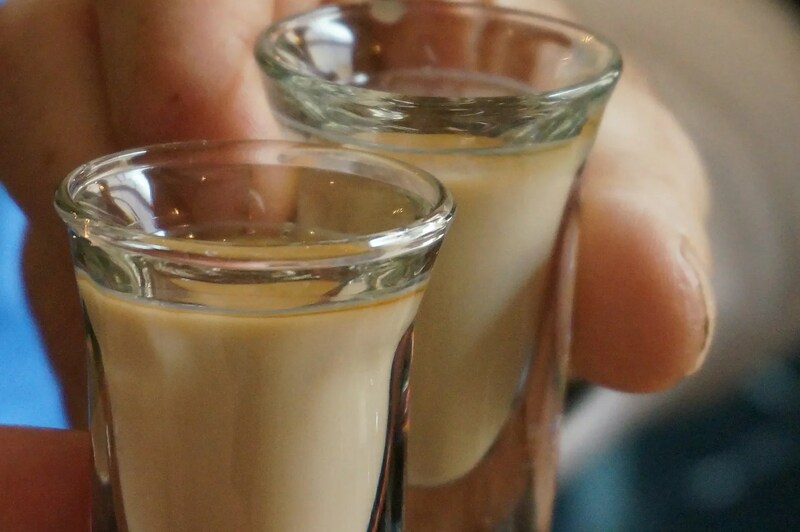 That gives the Tequila a slightly golden hue and a smoother taste. 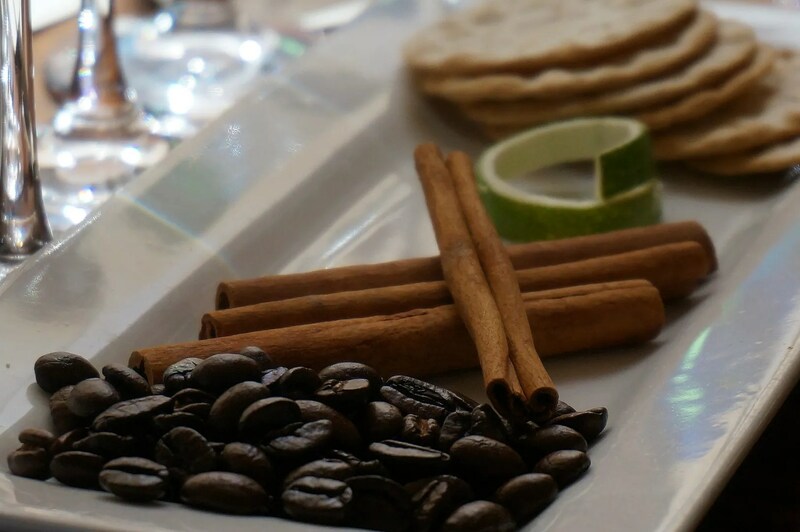 I believe we were told to smell the cinnamon stick before smelling and then tasting this one. I had hopes of liking this one since we were told it was smoother than the first, but sadly I didn’t. So my husband ended up drinking most of this one too. 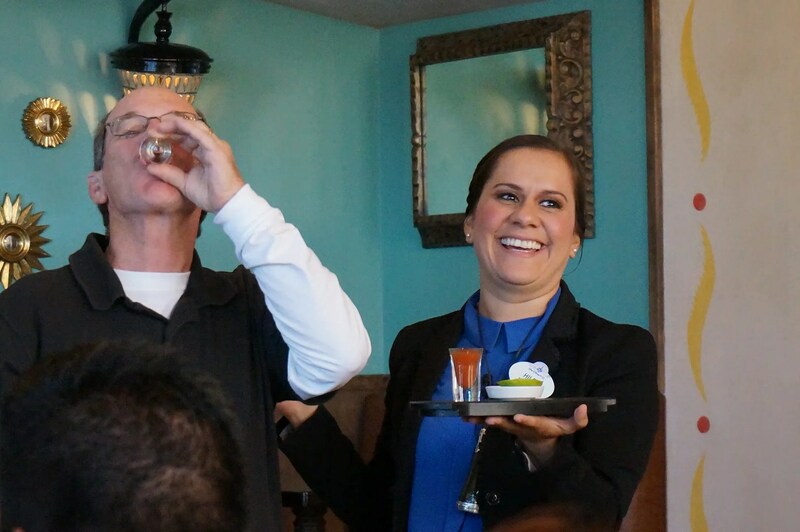 It was about this time in her presentation that Hilda requested a volunteer to demonstrate the proper way to take a tequila shot. 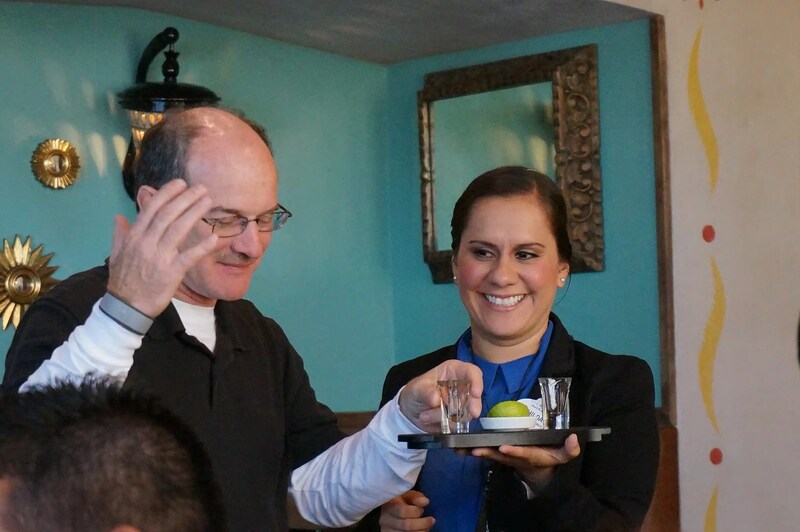 Seeing no hands raised, she selected my husband…maybe she noticed that he was drinking most of the tequila on our end of the table. 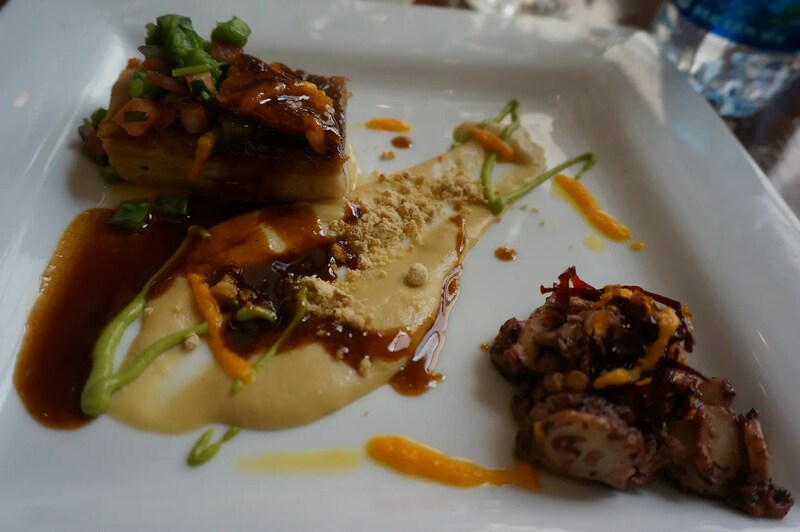 Land & Sea – Pork Belly (prepared carnitas style) with a Tequila gastrique reduction and Octopus seared in an Ajillo pepper sauce. 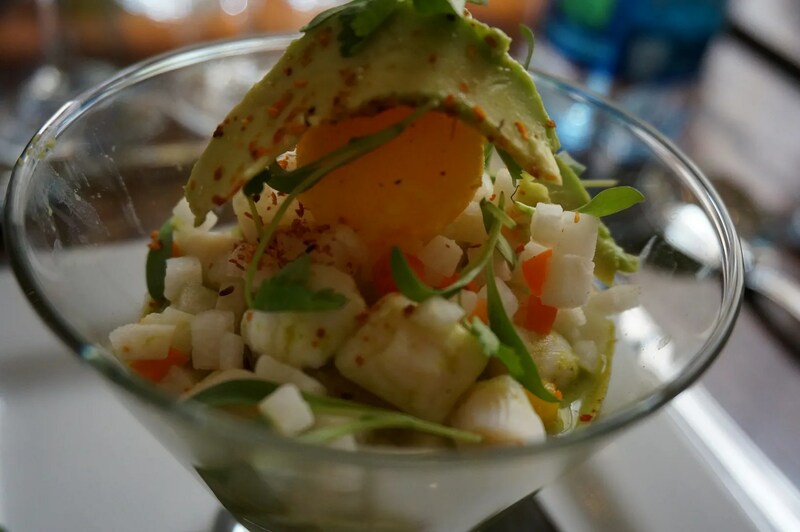 Accompanied by a cactus leaf salad, cilantro oil and corn puree. While I enjoy calamari, I discovered that I do not like octopus. 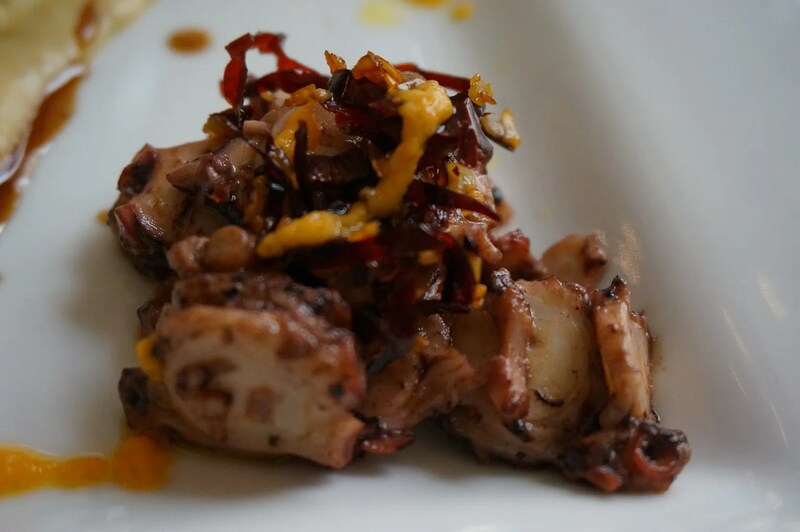 For me, squid seems more tender and tastier. So I’d have to say that this entree was a fail for me, however my husband seemed to enjoy it. 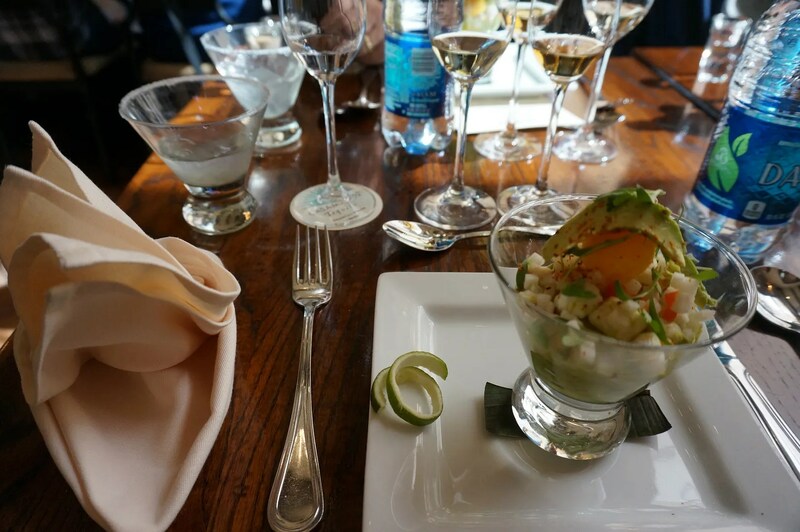 The last of the tequilas was paired with the main course, which was Casa Noble Tequila Anejo. 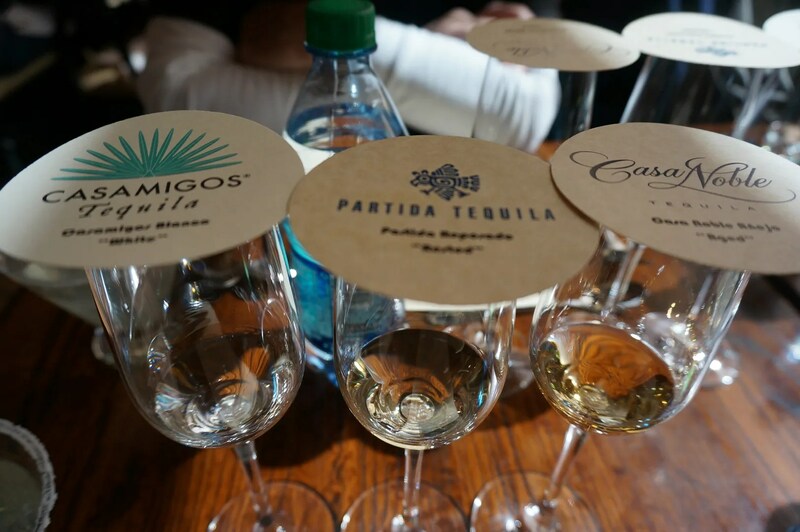 We learned from Hilda that Anejo Tequila is “aged” Tequila, which means it is kept in the barrel for at least one year, but less than three years. This makes the color a bit darker and the taste a bit smoother. And yet I still didn’t like it. 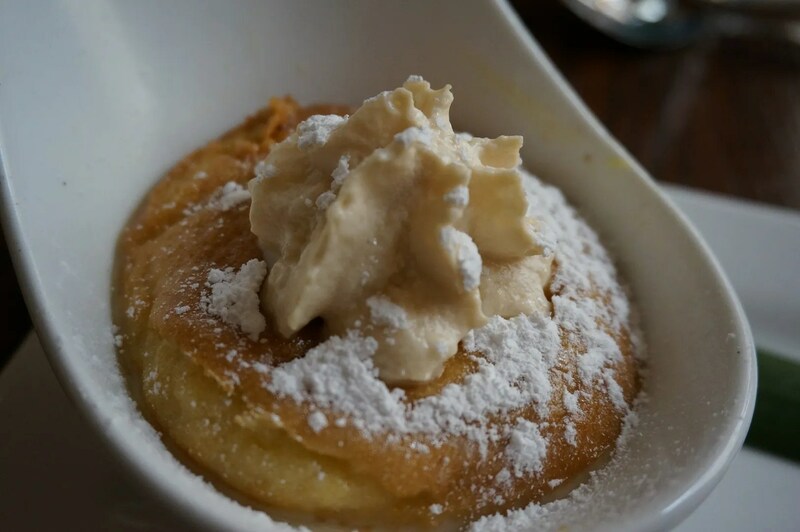 Tequila Tres Leches Cake – Tres Leches Cake dipped in Tequila Liquor and topped with Coffee Whipped Cream. 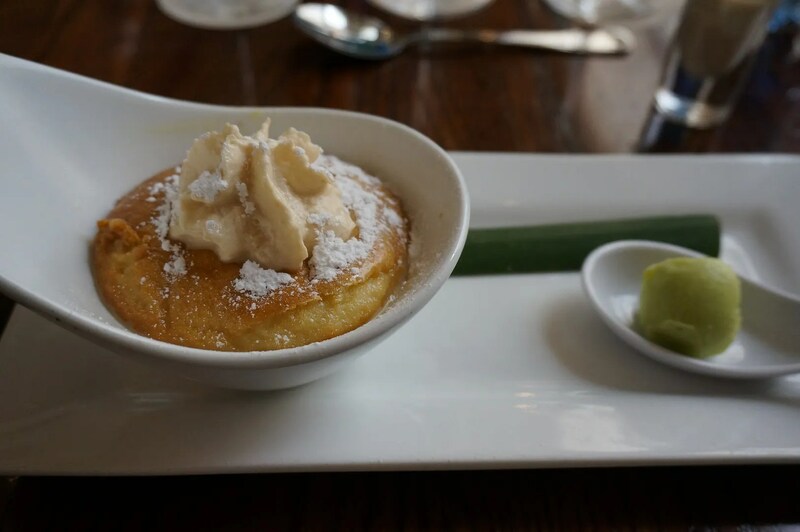 Served with Avocado Mint Ice Cream. Now this was really good! Definitely my favorite course of the meal. 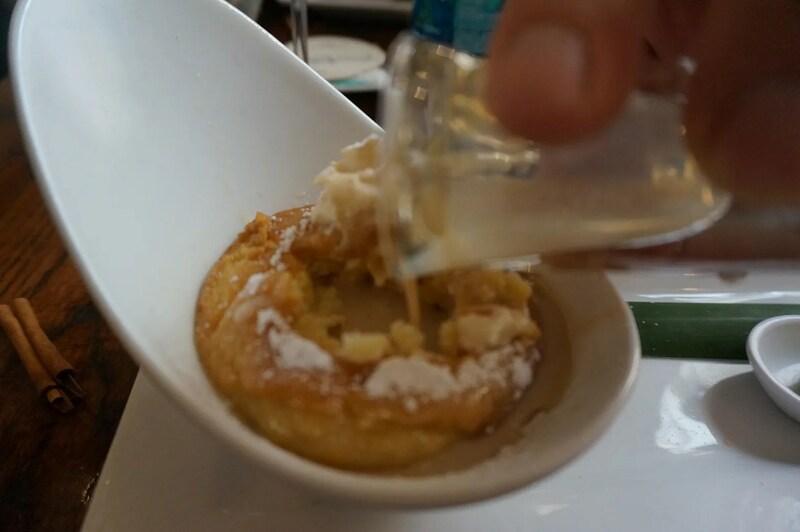 So overall, of the three Food & Wine Festival pairing lunches that I attended on this trip (the Italian and French were the other two), this one was definitely the weakest link for me. However, to be fair, I should mention that the price of this meal was $75 (plus tax), which is far less expensive than the other two I attended. The Italian Regional Food & Wine Luncheon was $94 and the French one at Monsieur Paul was a whopping $135. But then again, that one included a copious amount of champagne! 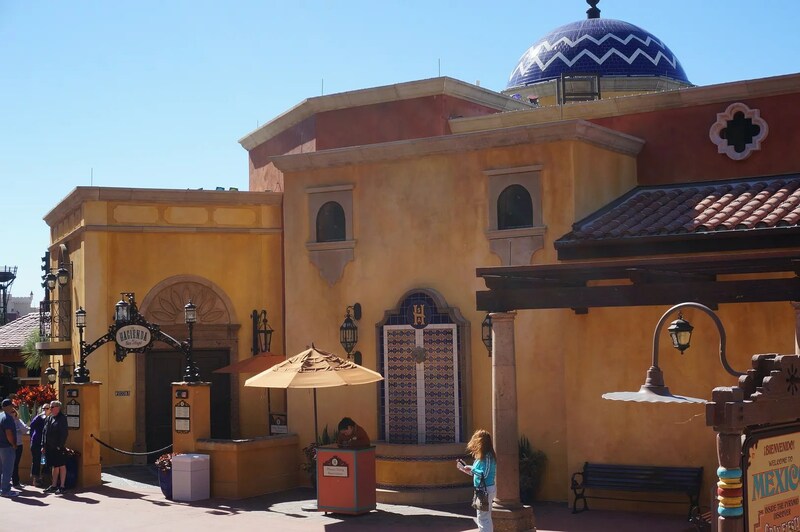 But anyway, if you calculate the cost of the alcohol served at the Tequila lunch it comes to more than $46 (at La Cava del Tequila the margarita is $13.50, a similar tequila flight is $22, and the 1921 Tequila Liquor is $11). Which means the 4-course meal was only $29. Quite a bargain! This of course would only hold true if you like tequila, which for the most part I guess I don’t. So for me, this was a fun new experience but not one I would probably do again. 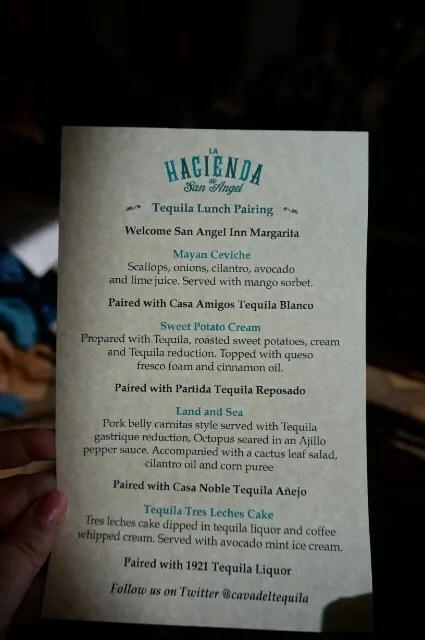 Oh, but one more interesting tidbit is that while the other two lunches I attended were sold out, the Mexican one I was able to book just one week prior to the event.